Based in the north of Portugal, Abílio P. Carneiro & Filhos S.A. has exported practically everything it has produced, since the 1980s. The company has developed and adapted to the market and specialised in the manufacture of technical footwear – riding, safety, various types of outdoor footwear and waterproof footwear using membranes. With constant investment in R&D, machinery and training human resources, Abílio P. Carneiro & Filhos S.A., currently managed by the third and fourth generations of the family, has attained worldwide recognition. Today, Abílio P. Carneiro & Filhos S.A. is a company with a global outlook, buying raw materials and selling footwear throughout the world. Abílio P. Carneiro is a company that produces technical footwear, whose mission is to provide excellent service to its clients, ensure good communication between all parties, present new solutions, and fulfil all defined quality requirements. Our company combines traditional with modern. Improving the efficacy of our Quality Management System, taking the NP EN ISO 9001 standard as our reference. 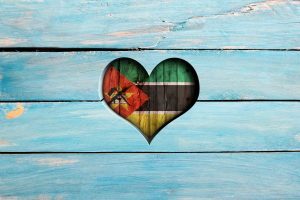 He joined the “Vamos Ajuda Moçambique” campaign of APICAPPS, the Portuguese Association of Footwear, Components, Leather Goods and their Substitutes, donating 120 pairs of boots to victims of floods in Mozambique.